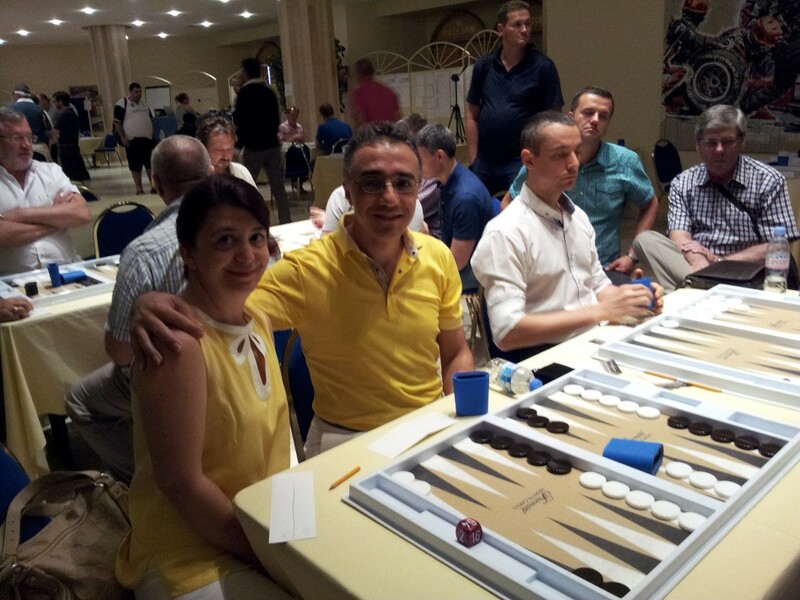 The 39th Backgammon World Championship gave my wife and me a holiday opportunity this year. Since I am a Mediterranean guy — energized by its special blue and the sun — I adore the scene offered by the mountains and the sea in Monaco, the second smallest country of the world. The glamour of the city is dreamlike: I can visit this part of the French Riviera without playing backgammon just to enjoy the atmosphere. Luxury is not one of my priorities; but I still I like being in such a charming place: dressed up, dining at wonderful restaurants, watching beautiful people and expensive cars drive around. And for a break from the high life, there are the nearby towns and cities like Menton, Nice, and Cannes. Menton, for example, is a very normal-looking, nice town to hide away in if Monte Carlo makes you dizzy. In Monaco itself, you can enhance your experience by visiting the Palace or relaxing by the sea, either at a public beach or a private cove. 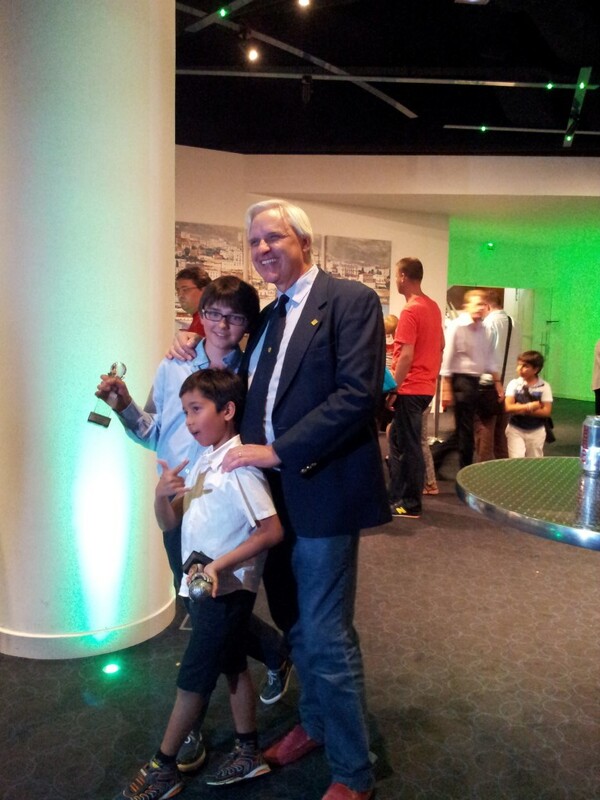 This August it was my fourth consecutive visit to the World Championship. I was alone at my first visit and together with my wife at the second one. 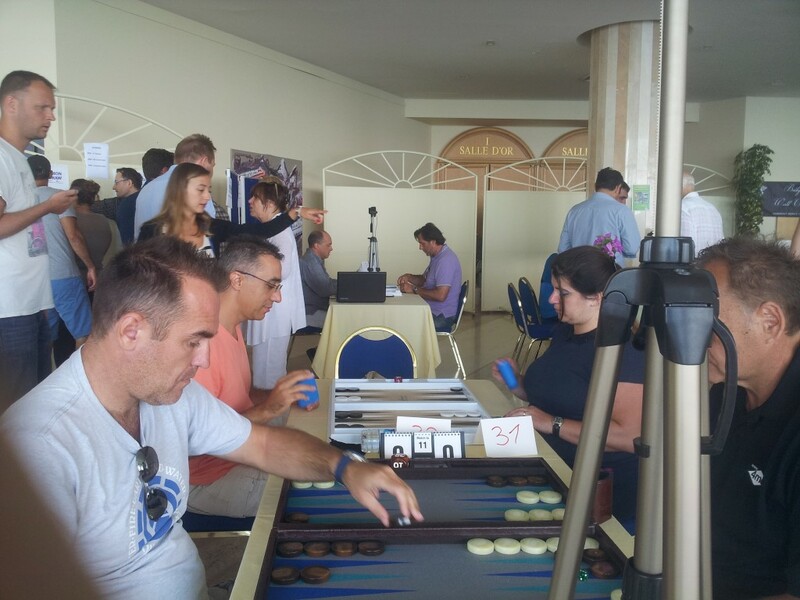 These trips had given a rough impression of the Monte Carlo backgammon experience – an impression that was confirmed by last year’s and this year’s tournaments. 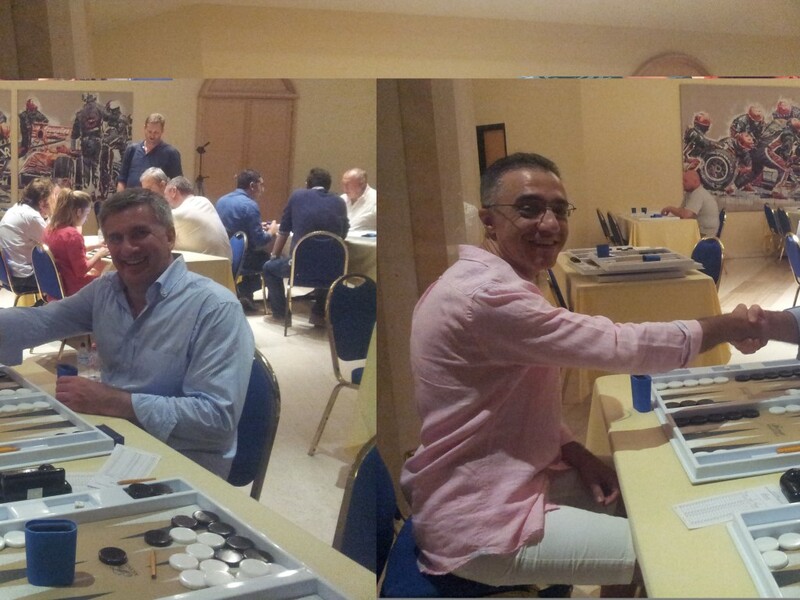 To us, this “World Championship” tournament means high stakes, both in the tournament and in the side games. There is nothing wrong with this, but it is very different from how the game is perceived by my part of the world. Backgammon is a sacred game for me. 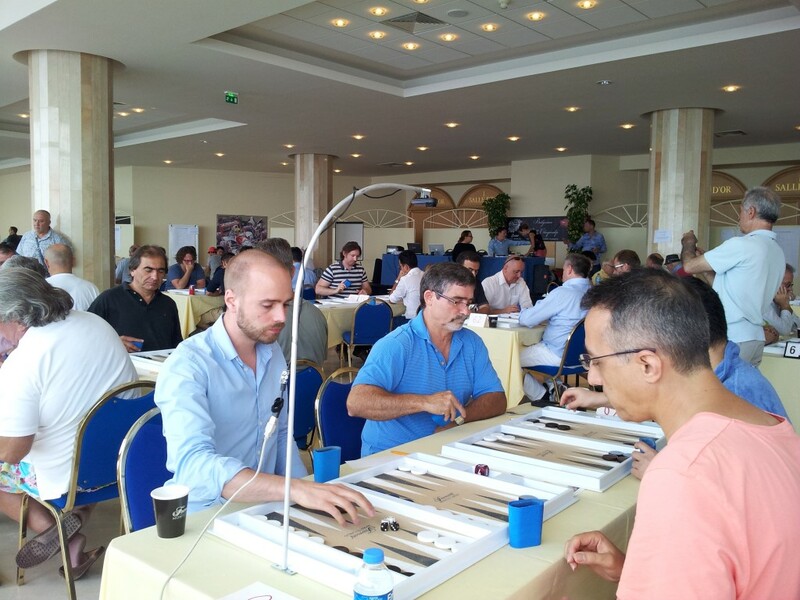 In Turkey we play backgammon in the streets with wooden boards. There is a backgammon board in almost in every house. Playing the game is an opportunity to socialize and understand life. This is the vision that I have tried to convey to the public ever since I was introduced to the international backgammon scene seven years ago. I have tried to encourage people to participate in the game so that they could see life, and especially themselves, through its special window. 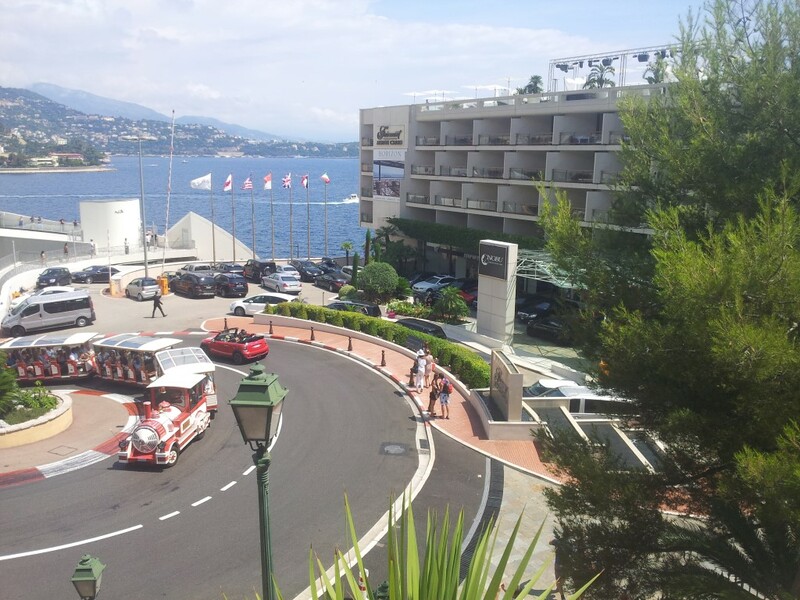 But the reality of Monte Carlo is very different from my vision. I am not discouraged. 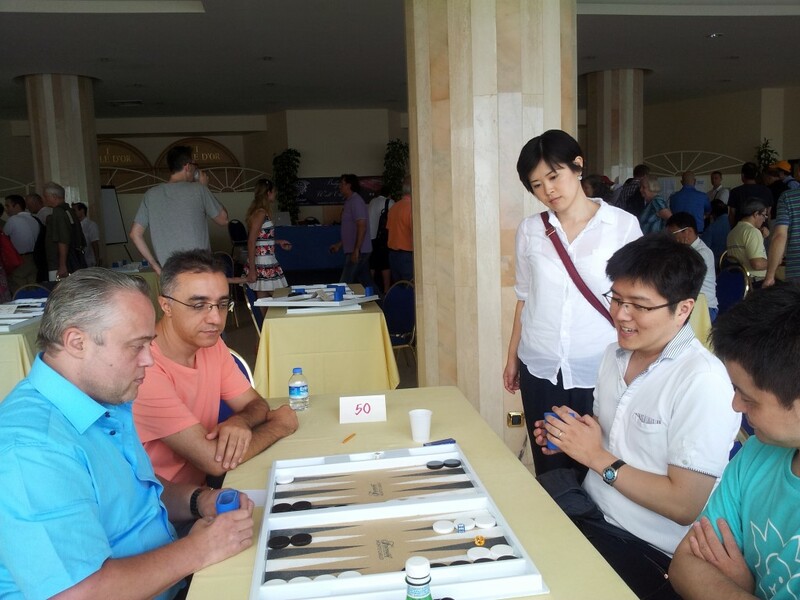 I will continue to work with volunteers from other backgammon-loving countries to elevate the discussion, so that backgammon will evolve to complement all of the higher aspects of life — including mind sports, education, business and art. As for Monte Carlo: well, it has its place, reflecting a colorful, elegant era when style was paramount, and the players participated en grande toilette. The tournament has been trying, over the last four years, to increase attendance. This goal has (to some extent) been achieved — but alas, at the expense of organization. For example: this year there was a new double-elimination format; but it was not properly explained. Nor was the scheduling adequate. 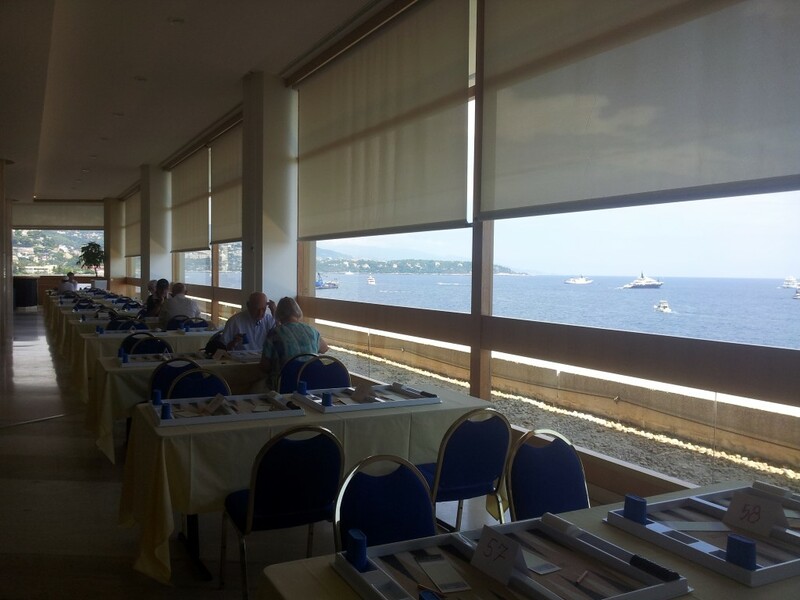 Because there are so many distractions in Monte Carlo and some prefer money games over tournament activities, I had a lot of trouble finding my opponents. 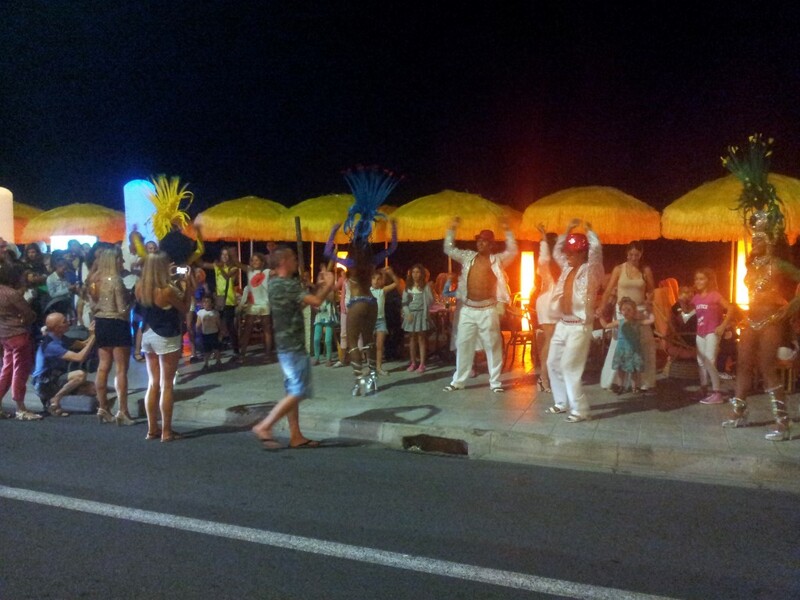 There were two improvements, though, even if they were accidental: the big ballroom was not available this year, so we played in the promenade outside it, with its beautiful Mediterranean view. And for the same reason, the prize-giving cocktail and ceremony took place at another nice room. I prefer these venues, and hope they can be used in the future. During the last couple of years I have witnessed very nice tournaments such as the Merit Open in Cyprus, Chicago Open, Texas State Championships in San Antonio, Cannes, Japan Open, Nordic Open, Istavder Anniversary, and Georgian Championship. 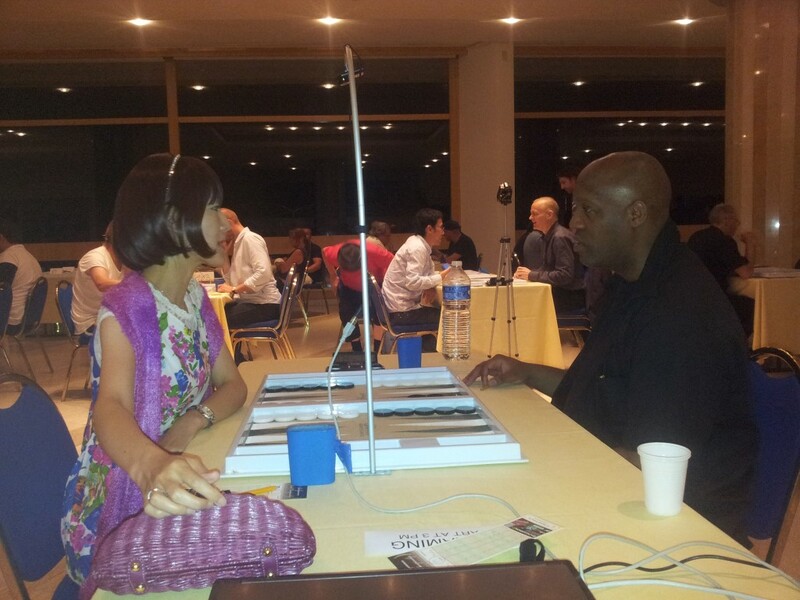 Organizers all around the world are building on top of what other organizers are doing best. 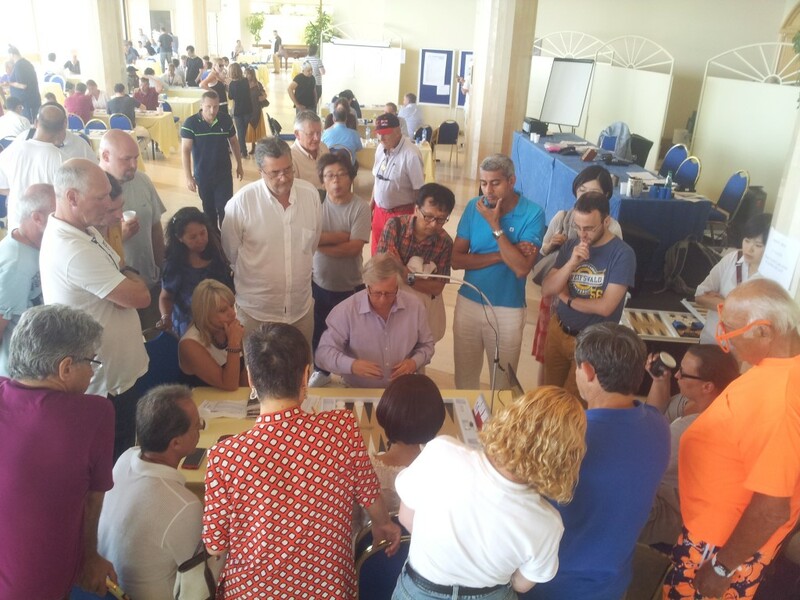 I hope that the Monte Carlo organizers will incorporate the best practices to be found today, enriching the experience of players and making the World Championships the best that it can be. After all this fussing, let’s talk about what happened backgammon-wise during that week. 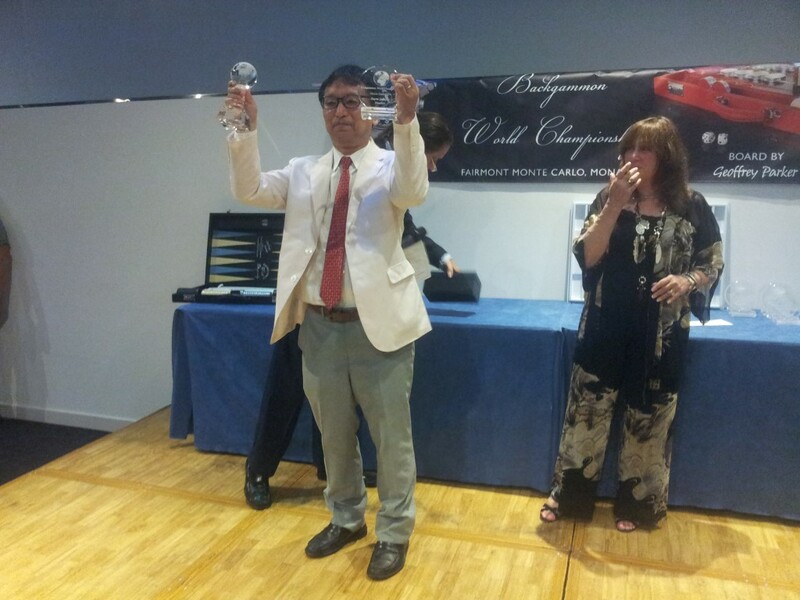 I believe the most important point was how and why Akiko Yazawa won the tournament. I have been a fan of hers over the last three years. We have played a lot, and I know her and her game very well. She is my idol, for although her results are the best in the world she signifies to me that low error rate is not the only quality a backgammon player should have. 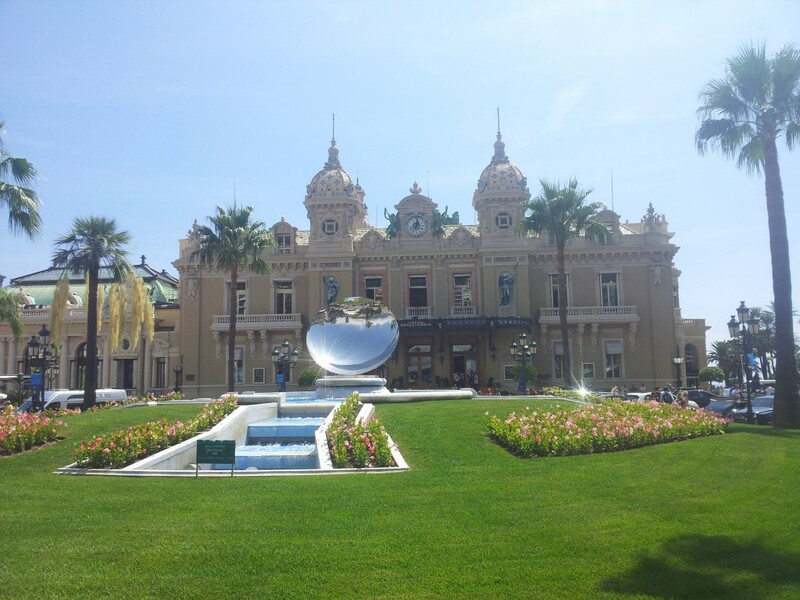 The Monte Carlo Casino at noon. We are viewing an upside-down reflection projected by mirrored glass sculpture (artist: Anish Kapoor), with the fabulous casino in the background. 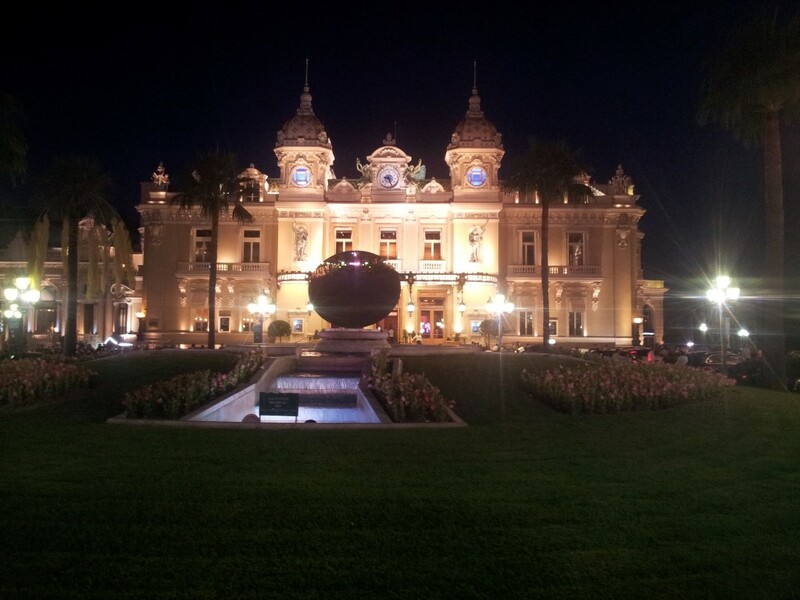 The Monte Carlo Casino at night: very attractive with its tasteful illumination and dream cars parked in front. 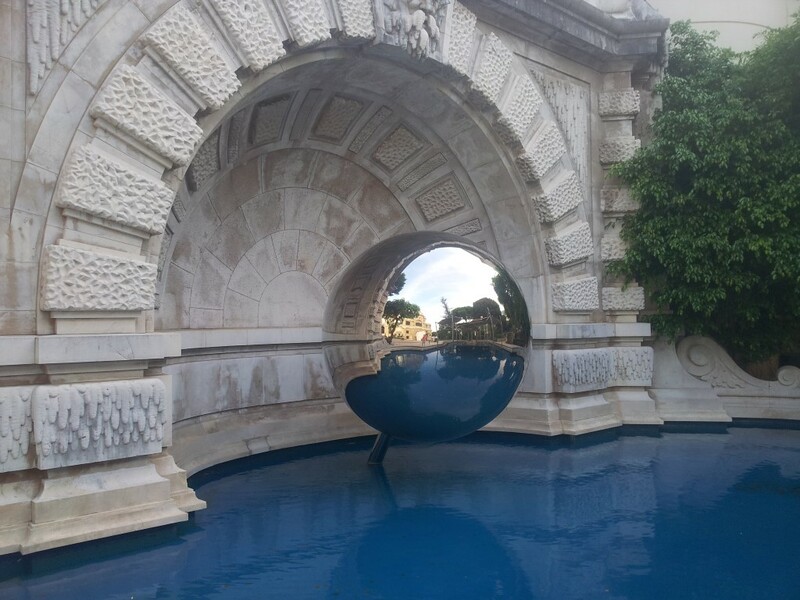 Another reflective Anish Kapoor piece, located outside the Buddha Bar. 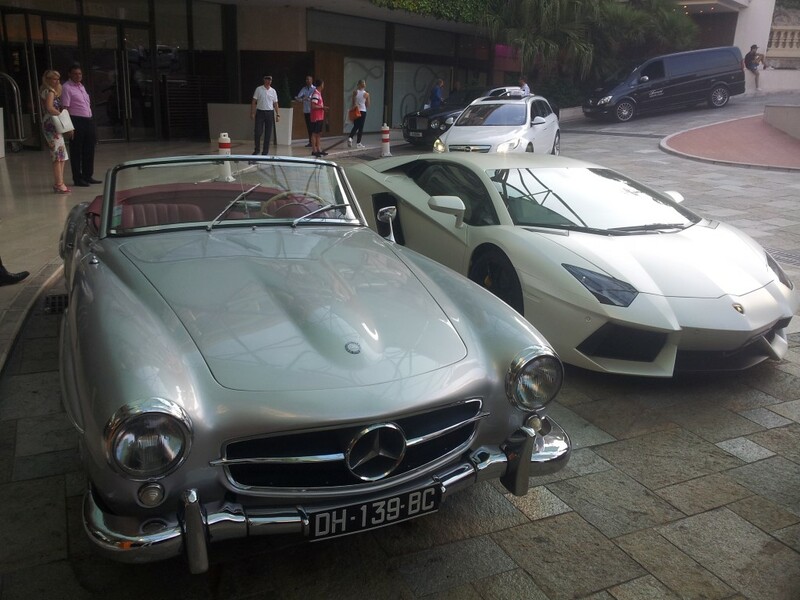 Classic and modern cars in front of Fairmont Hotel. 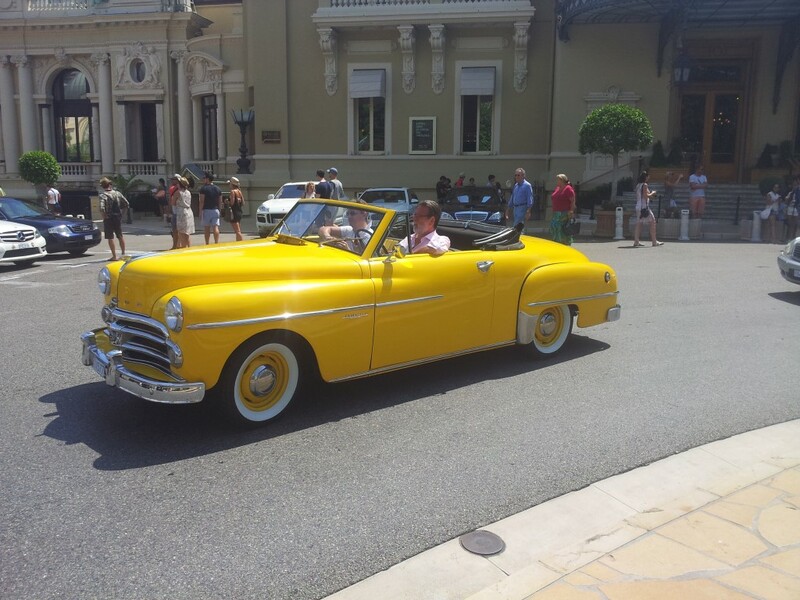 Two examples of Monte Carlo’s distractions. The Fairmont Hotel and the scenic train. 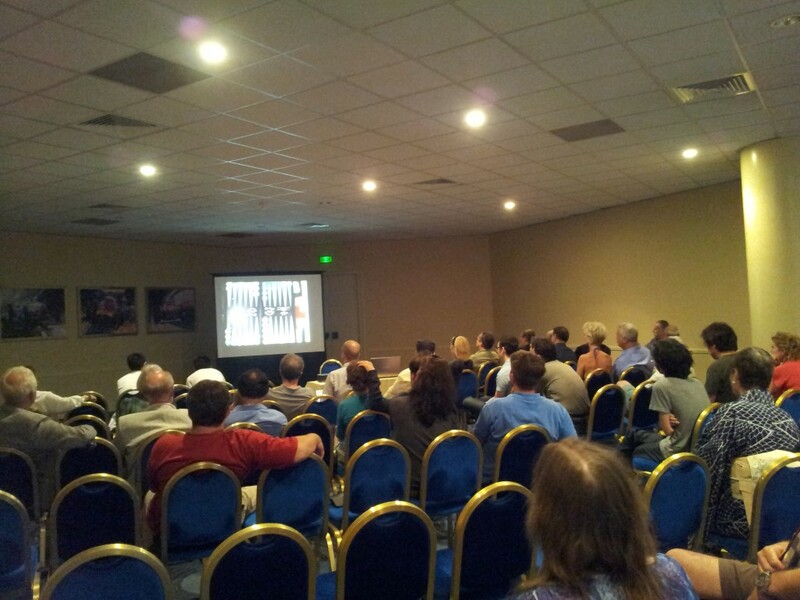 The hotel was built in 1975 and the next year the World Backgammon Championship started there. 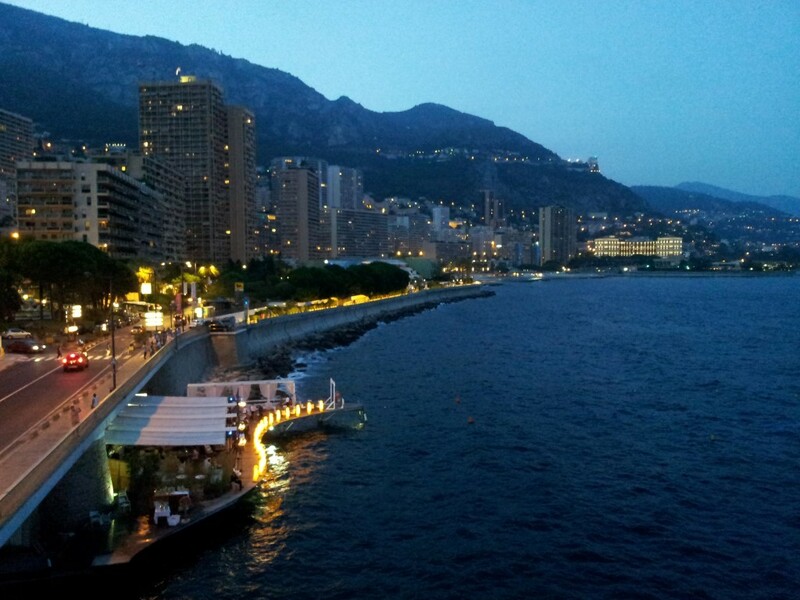 A view of the lights of Monte Carlo from the balcony where the prize-giving event was held. 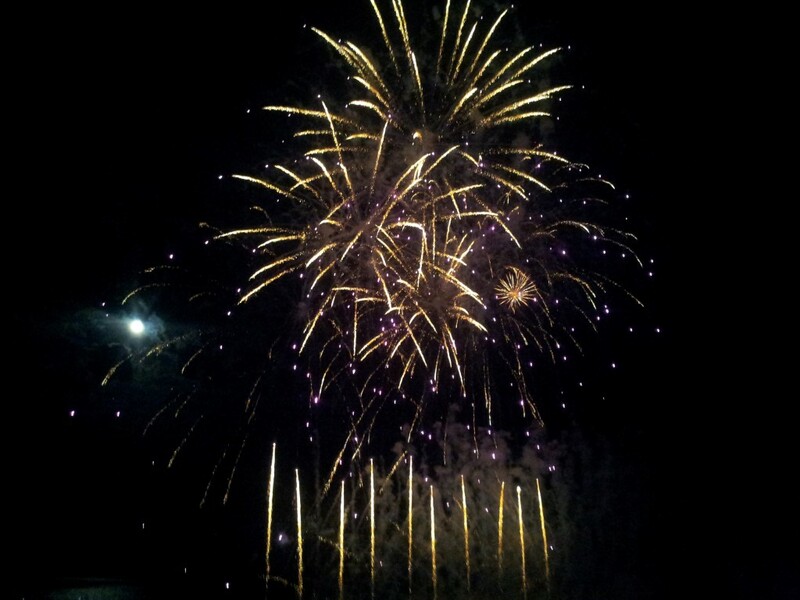 The English team’s contribution to an international fireworks contest. My private beach in Monte Carlo where I retreat when too many buildings and human-made things make me feel dirty inside. My wife Şebnem and I playing doubles. 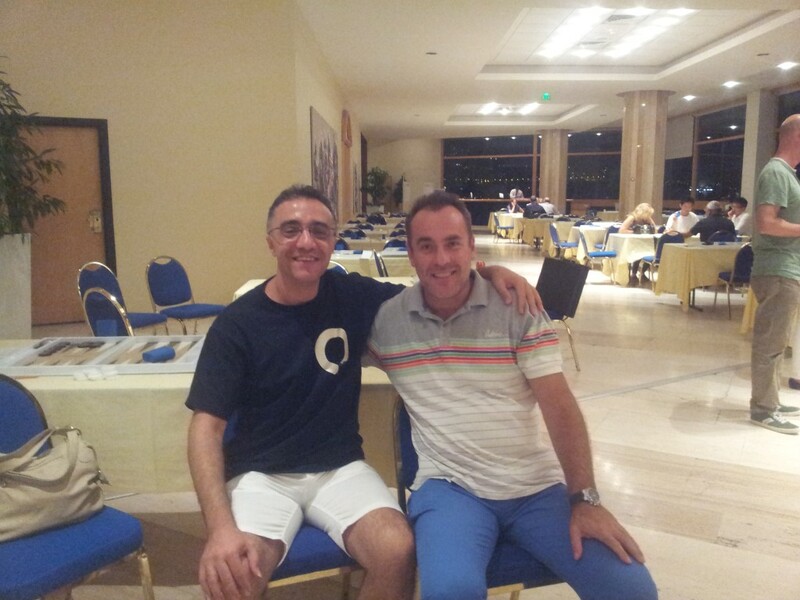 Playing doubles with Halil Tulan (Turkey/Switzerland). First round of the Main. The tournament room was the entrance of the ballroom. Playing against Stepan and next to Myrian. The three of us were staying at the same hotel. First round of the Second Chance, Myrian Poreida from Argentina. 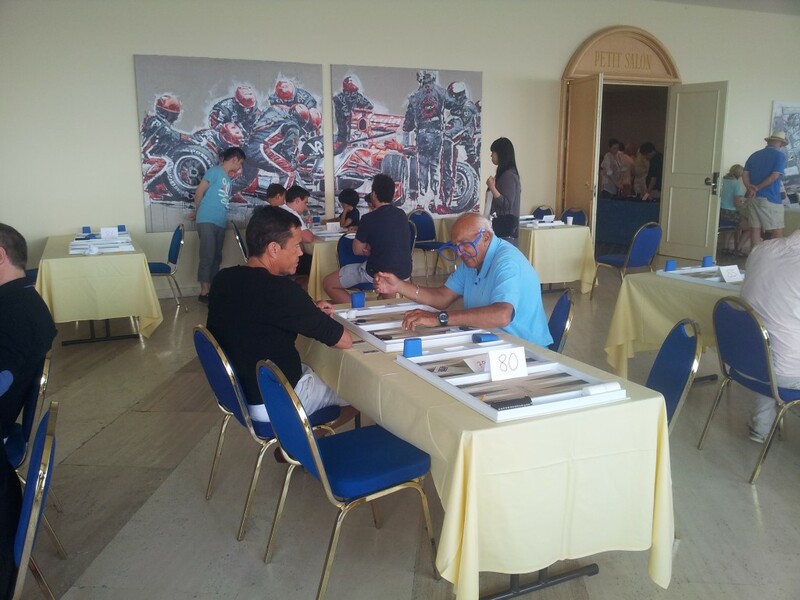 A digital-photographic art shot by my wife, redesigned by my Samsung phone’s imaging software  Fabri (Fabrizio Lo Surdo of Italy) and Sabri playing a speedgammon match. I had trouble with time in this match because of the side I have to roll. I believe we will see more speedgammon in coming years because it is fun to play and watch. 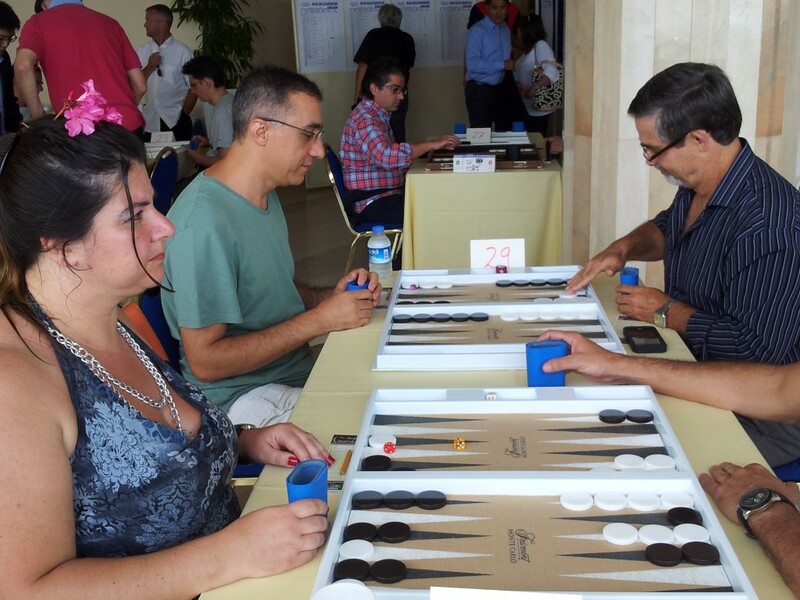 A lady and a gentleman playing backgammon. Akiko Yazawa of Japan versus John Broomfield of England. Final match with Falafel’s entertaining comments. Eric McAlpine from England made it to Consolation final. Here he is playing an important match against Akiko. My “neighbor” friend (komşu) Konstantin Mitrelis of Greece. 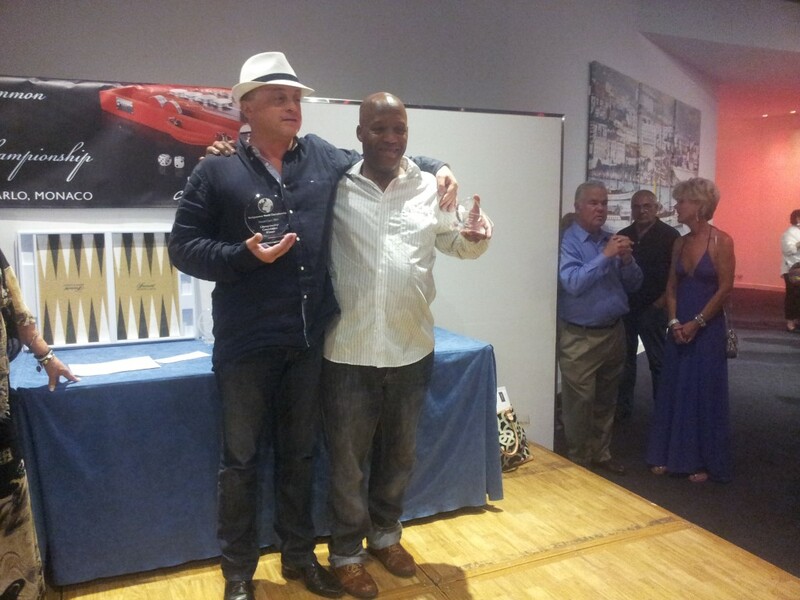 He won the EBGT tour this year which I won last year. I hope we will win the World Championship next two years too. Together with the champion and my idol Akiko Yazawa. To support her I wore the Zen t-shirt that my Japanese backgammon friend Kenji Nishizawa gave me at the Istanbul tournament. 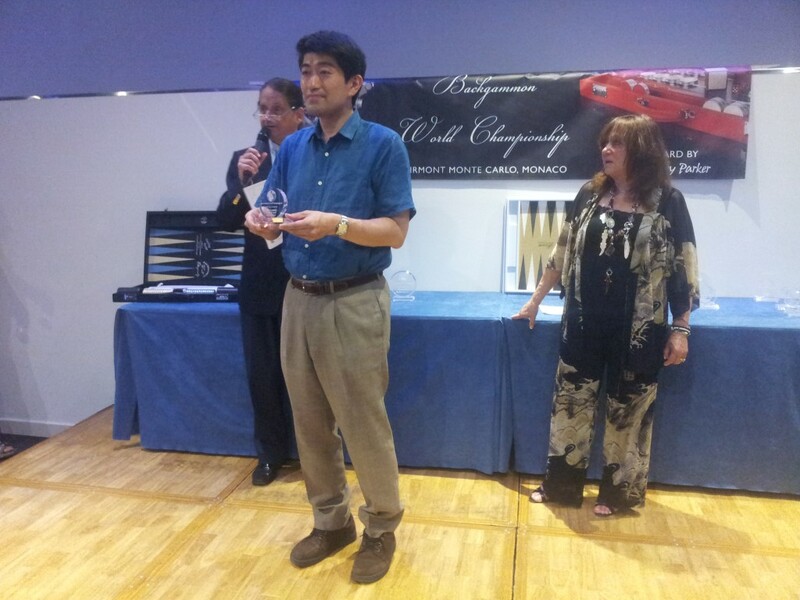 Shogi grand master Moriuchi Ioshiyuki (Japan) did very well in reaching the final eight. The games are related to each other in terms of strategies and tactics. For example I became a better chess player after seven years of backgammon. Consolation winner Olivier Décultot (France) with a nice hat as his lucky charm together with the finalist Eric McAlpine (England). 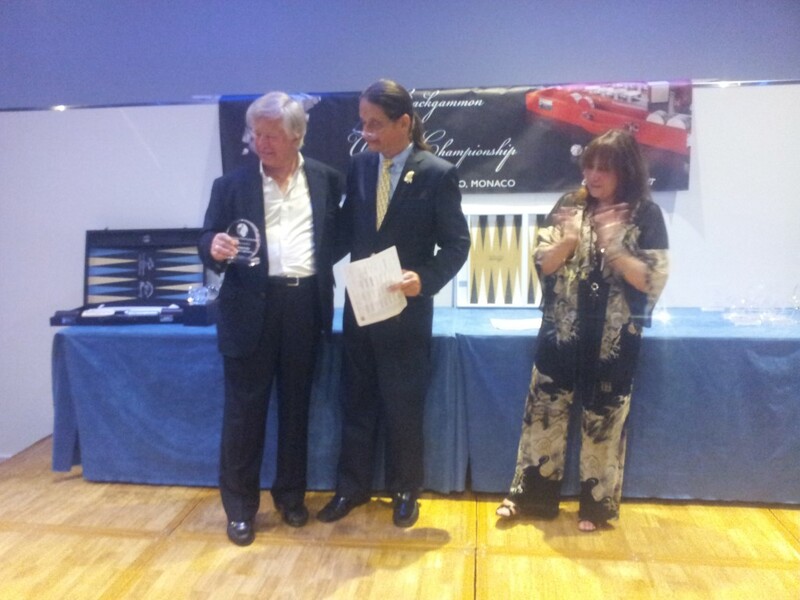 Third place goes to a real gentleman from England: John Broomfield. 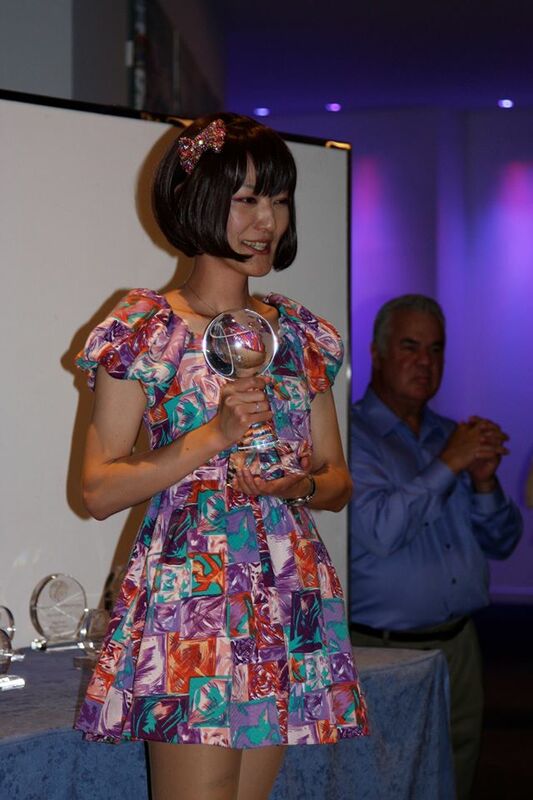 Winner Akiko Yazawa (Japan). 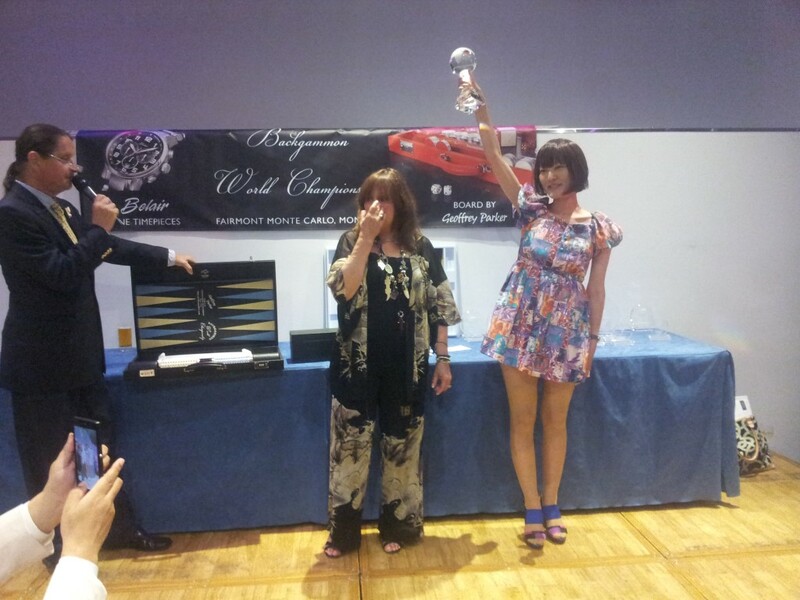 She is the third lady winning the Monte Carlo World Backgammon Championship. She won the Super Jackpot in 2012 and 2013. No player has ever performed at her level. It was a highly emotional moment when the principal organizer Patti Donner-Rubin gave her the trophy. 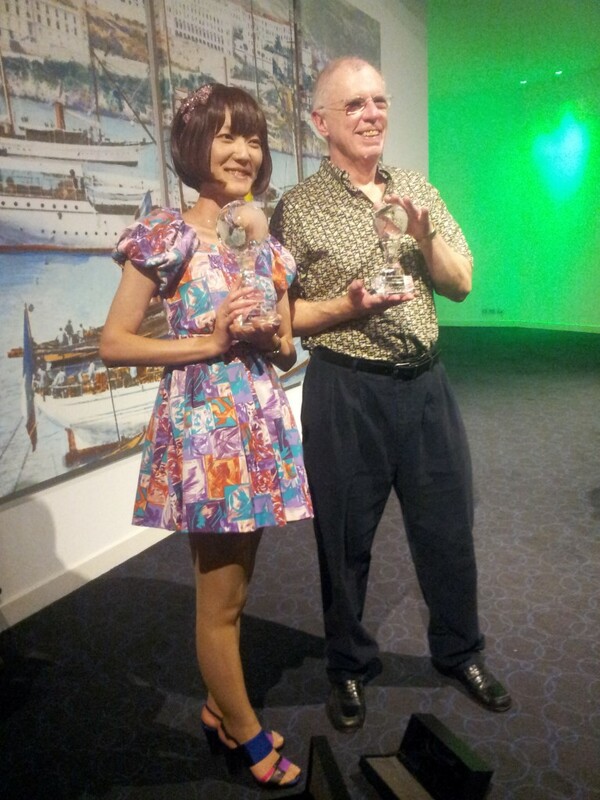 Akiko Yazawa (Japan) and Doug Mayfield (USA) played a final until the last point. They deserved this moment. Reflections of Akiko Yazawa’s beautiful colors. A nice photo by Annick Hasdenteufel. 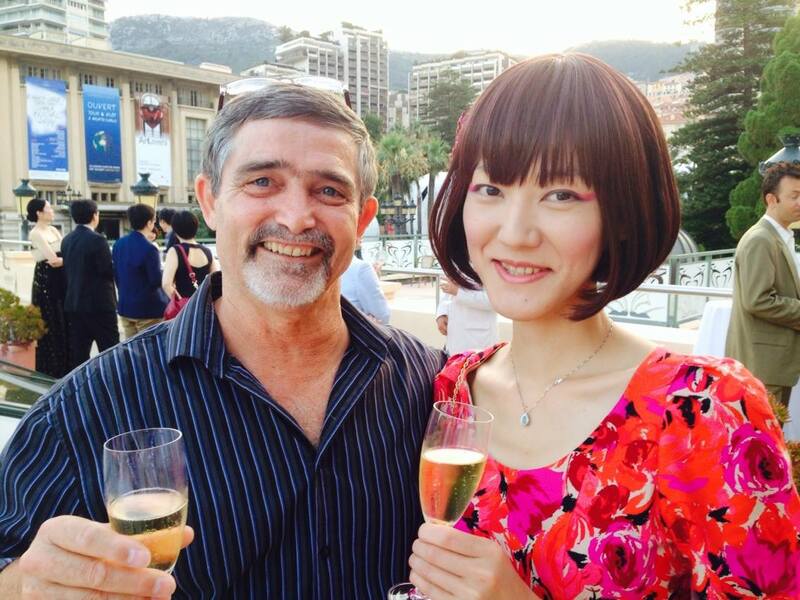 Stepan Nuniyants (USA) and Akiko at the Gala Dinner. A nice moment captured by Stepan. Nice article, as always. Thanks for that Sabri !